Your Attendees Know Us. Always One of the Top Attended Sessions. Joshua Frank and Michael LeJeune are consistently rated as one of the best speakers and keynotes in the industry. Their keynotes are educational, fast-paced, high-energy, and thought-provoking. Between them, they have supported or keynoted more than 100 regional and National conferences, symposiums, and events. Whether your event is next week or next year, we will work with you to select the best (and most appropriate) topic for your upcoming event. Selected to Keynote State of Utah’s Annual Government Symposium at the request of Governor Herbert and his staff in support of the PTAC. #1 Rated Session by Attendees at the Kansas City SAME Industry Symposium. #1 Rated Session at the St. Louis Business Exposition. #1 Attended Session at the SAME Joint Engineer Training Conference & Expo. #1 Attended Session at the SAME Small Business Conference. #1 Rated Session by Association of Procurement Technical Assistance Centers (PTAC) at the National APTAC Training Conference. 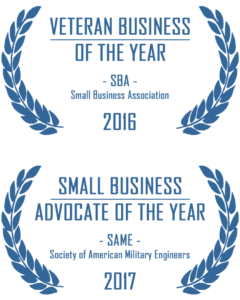 Top Rated Sessions Out Of 1,000 Events at the 2013, 2014, 2015, 2016, and 2017 Annual National Veterans Small Business Engagement (NVSBE) conferences. Selected by the State of Illinois to train their Procurement Technical Assistance Center (PTAC) directors and specialists during annual training. Click the schedule buttons above or speak with us now at (703) 677-1700. Mr. Frank and Mr. LeJeune are known for their high-energy and thought provoking seminars. How often do you get a presenter who stands behind the podium and in a monotone voice, reads their slides while providing little to no value to your attendees? Our keynotes and seminars are consistently rated as the one of the best sessions at any given event with the highest attendance. Business owners know who we are and have come to expect “lights-out” and “highly valuable” content. Additionally, unlike many speakers, we provide the templates and documentation, outlined in the session, so that business owners can return home and immediately put new strategies into action. Joshua P. Frank, small business government acquisition strategist, author, and highly praised speaker provides dynamic and relevant sessions on techniques and strategies to differentiate, position and accelerate revenue. Mr. Frank’s sessions are consistently evaluated by attendees as one of most educational, dynamic and thought-provoking sessions they attend at a conference. Finding government opportunities is the easy part. Knowing how to position and differentiate your products or services is what provides companies with competitive advantage. Whether you have ten government contracts or none, Mr. Frank’s sessions are designed to accelerate small business sales. We take great pride in ensuring that our seminars are more than an abstract discussion. Our primary objective is to educate the audience, providing them with real-world and proven techniques and strategies. We don’t present for 30 minutes, provide a copy of the slides, and ask attendees to call. At the conclusion of every seminar we stay behind for an hour to talk with attendees and answer questions. Every session includes copies of whitepapers, templates, and other business tools that companies can put into use immediately to accelerate business processes and increase revenue.